26 Jun	This entry was published on June 26, 2009 at 10:19 am. 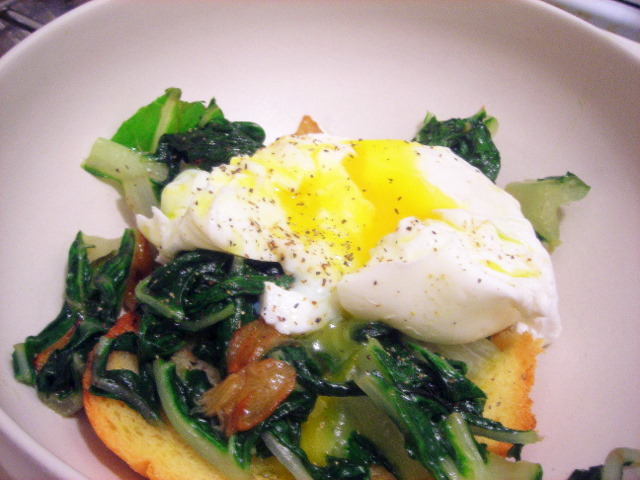 It’s filed under food, general, vegetarian and tagged dinner, eggs, food photography, kale, poached egg, vegetarian. Bookmark the permalink. Follow any comments here with the RSS feed for this post. Gosh, I don’t think I’ve ever seen eggs poached so perfectly as they are on this site. Incredible. Maybe I should do a poached egg demo one of these days? They’re really quite easy to make.